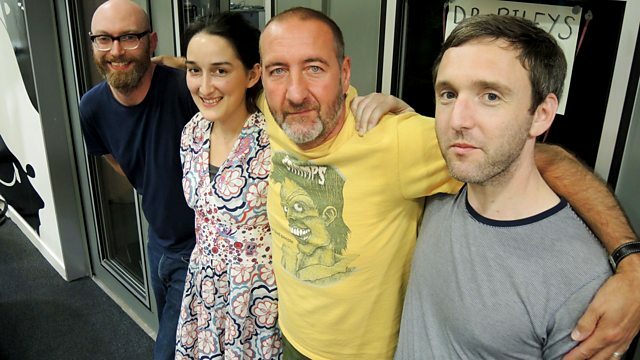 Marc Riley has a live session from 'mad guitar pop' trio the Drink, plus Cowboy Rob Hughes with his Americana tunes. Tonight Marc Riley welcomes "mad guitar pop" trio the Drink, plus Cowboy Rob Hughes and his Americana tunes. mix the guitar rock of bands like Throwing Muses and Deefhoof with influences from American and Irish folk music. Galway born Dearbhla is the band's main singer and songwriter , and also moonlights as not only one-third of The Wharves, but also one-third of Shield Your Eyes as well. David and Daniel were previously the rhythm section of London pop-post-rockers Fighting Kites. Together they have so far produced three Eps called One, Two and (you guessed it) Three. Flooded Soil / Heavenly Recordings.